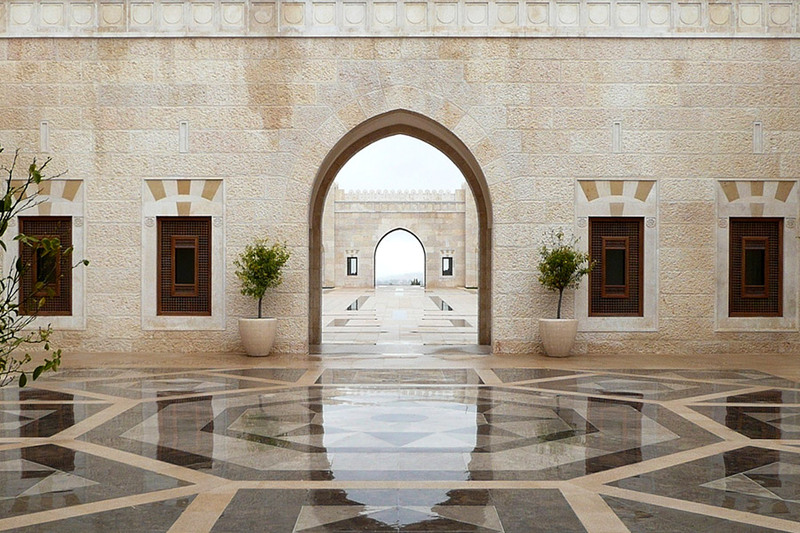 The challenge facing architects and designers in the contemporary Arab world is varied and complex; ranging from the practical and commercial realities of the building industry to the communal and cultural identity of this part of the world. The architecture that we aspire to achieve has to function on every level; on the practical level it has to work as functional buildings which provide solutions to the problems of everyday life. Furthermore, it has to fulfill humanity’s needs on a social level where it extends beyond the individual need to the requirements of a society. its architectural tradition. Most importantly of all, architecture has to seek its inspiration in the world of the Archetypes; it is to this world that we, as architects, go to seek the essence and true meaning of Form and from which we bring back our interpretations of these universal archetypes. An architecture which draws its inspiration from these universal principles will then be able to reflect and support the natural and timeless cycle of manifestation. In summary, our design ethos is based on the understanding that individuals, as well as communities, can only be truly fulfilled when their needs are met on all the fundamental levels of their existence; the practical, the social, the cultural and most of all the inspirational or spiritual.